I was shocked when I learned that Mrs. F had never been to Bern's Steak House, a Tampa institution that goes back to the 1950's, looks like a bordello, serves excellent in-house dry-aged steaks, and has one of the most remarkable wine lists of any restaurant in the world. I resolved the next time we had a free weekend that we'd remedy that oversight. So over the MLK Day long weekend, we reserved a room at the Vinoy in St. Petersburg, a Mediterranean Revival style grand old dame built in the 1920's (of the same era and in much the same style as the Biltmore in Coral Gables) and made plans to hit the road. As it turns out, Bern's was fully booked the entire weekend. But even though the motivating purpose of the endeavor was defeated, I still had a list of places along Florida's west coast to visit. It's only a few hours away, but I've not spent a lot of time on Florida's Gulf Coast, and in my admittedly limited experience the dining options seemed dominated by chains and tourist traps. But with a little more digging, I found plenty – both old and new – that intrigued. 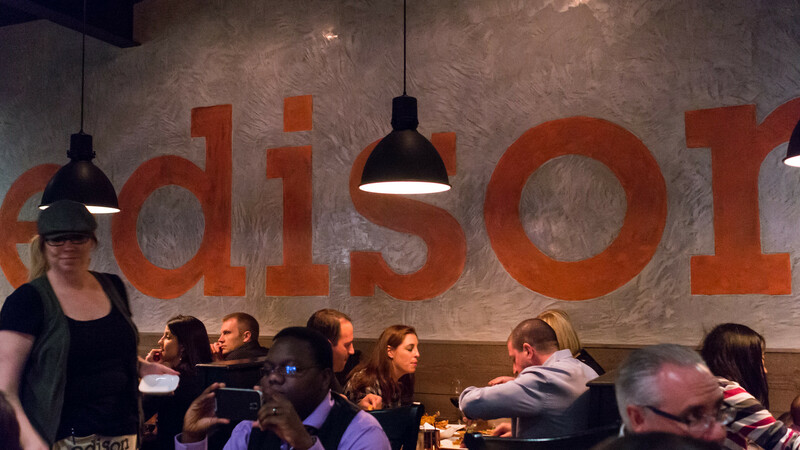 On the new side, we visited edison food + drink lab, a two-year old restaurant that sprang out of a pop-up called KitchenBar. But it seems that new and old are not so easily separated: the chef/owner behind Edison, Jeannie Pierola, had been the chef at Bern's and then its more casual sibling SideBern's for several years before going out on her own. The restaurants couldn't be more different: where Bern's is all red velvet and filigree, Edison's design motifs run to corrugated metal and unfinished concrete. Bern's is for the most part resolutely, delightfully stodgy; Edison is much more contemporary in spirit. 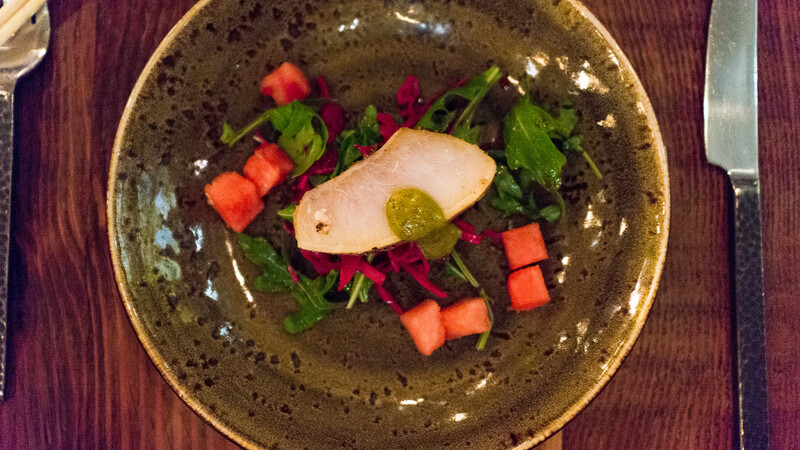 (You can see all my pictures in this edison food + drink lab flickr set). 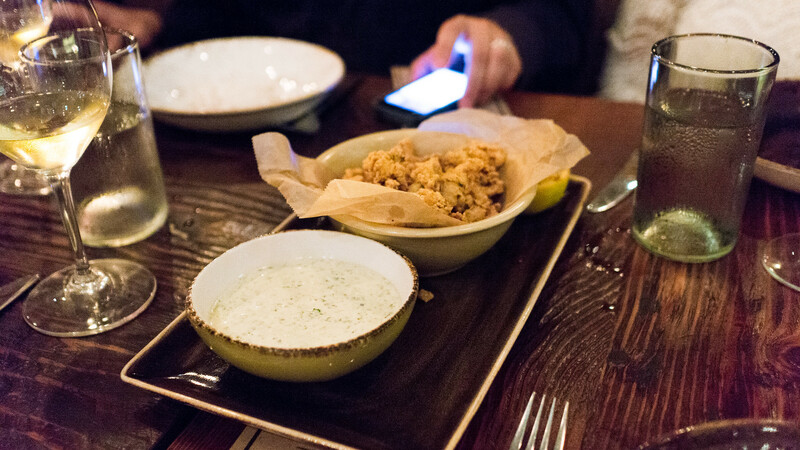 Edison's menu consists mostly of small plates, happily not so precious and dainty that they can't be shared. Escargot and cipollini onion crostini were doused with a black garlic bagna cauda. A salad paired fried green tomatoes with preserved lemon goat cheese, together with arugula and shaved fennel. 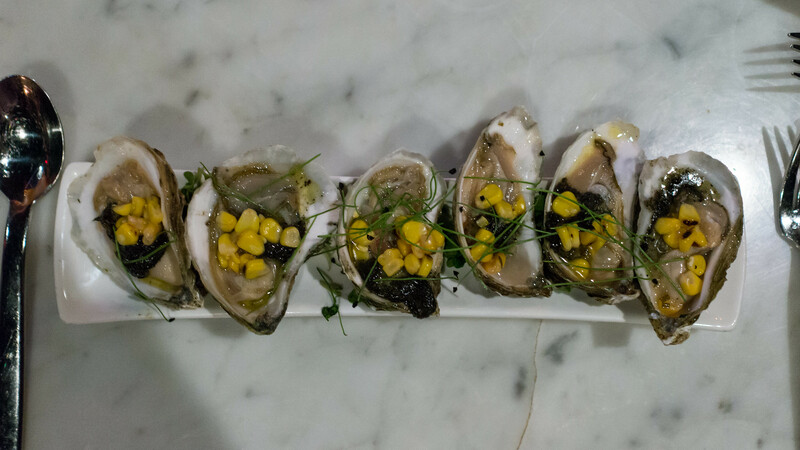 Oysters were dappled with ink-black charcoal butter and a sweet corn mignonette. I loved these flavors – I only wished the oysters themselves were either warmer or cooler, not in-between. A New England-meets-the-Caribbean chowder, swimming with slices of fat sea scallop, plump clams, shrimp, corn, hearts of palm and serrano chiles, smartly used a coconut bacon dashi as its base, loaded with flavor but avoiding the heaviness of the typical cream-laden version. 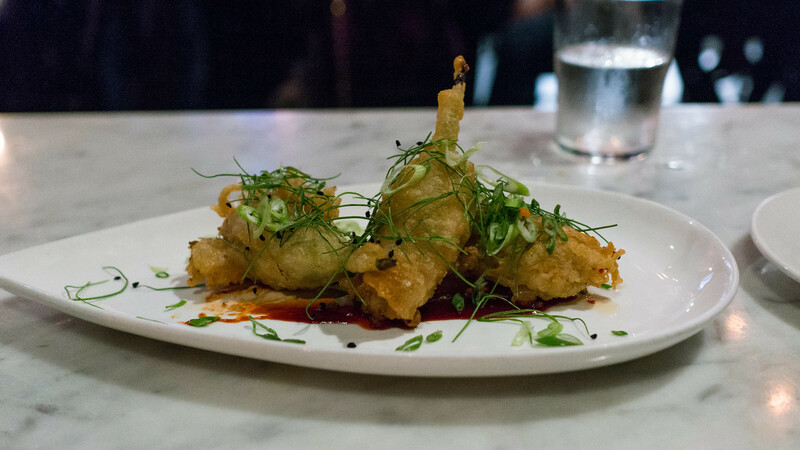 Squash blossom "rangoons" were stuffed with lump crab meat and fried, served over a blood orange ginger jam. Avocado leaf seared tuna came with a crash scene of ingredients that actually mostly worked: green mango salad, aji amarillo sorbet, fish sauce caramel, tamarind peanut crunch. For dessert, the components of rocky road ice cream, and then some – dark chocolate cremeux, marcona almond nougat crumbles, frozen marshmallows, torched meringue, vanilla ice cream and lashings of chocolate sauce – were taken apart only to happily be put back together again. For Cobaya experiment #47, we returned to the site of experiment #30, almost exactly two years ago: Khong River House, just off Lincoln Road on Miami Beach. 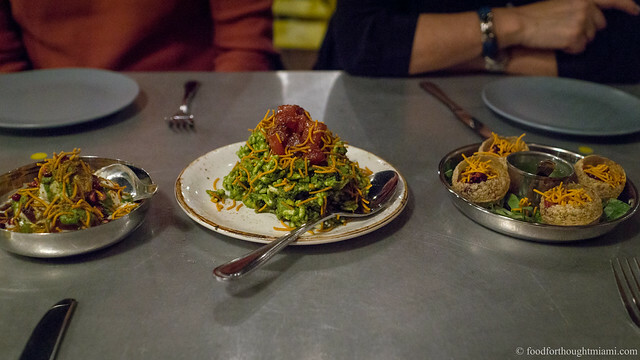 In the interim, there had been changes in the kitchen – owner John Kunkel had lured Chef Patricia Yeo down from Chicago to head up the restaurant – and we were excited to see what was new. Chef Yeo worked with Bobby Flay at several of his New York restaurants before opening several of her own places, first in New York and then Boston, including Om and Moksa. In 2012, she left Boston to join Chicago's Lettuce Entertain You group, for which she served as creative director of a fast-casual Asian mini-chain, Big Bowl. Some of you may also remember her from her appearance on Bravo's Top Chef Masters show. She only recently joined Khong and has been in the process of making its menu her own. But when we do Cobaya dinners, we don't want the restaurant menu, and I was happy that Chef Yeo did not constrain herself. Rather, she put together a "belly" themed menu for our dinner featuring some form of belly in each course. (You can see all my pictures in this CobaYeo flickr set). To start things off: clam bellies. Served family style for the table to share, these plump, juicy clams were lightly battered and fried, together with a zingy aioli spiked with lemon and capers. I've paid one visit to Khong since Chef Yeo took over, and from my limited sample size, this dish (even though there was nothing Asain about it) is characteristic of her style: very bright, defined flavors. There's an angularity rather than a roundness to her cooking, if that makes any sense: you taste each component distinctly and vividly.